Children in high-poverty/high-potential neighborhoods already face a litany of barriers to learning. Physical and mental health issues, particularly if they inhibit school-day attendance, are among the most damaging. Charleston Promise Neighborhood prioritized the need for increasing access to healthcare for our students and established the KidsWell School-Based Health Clinics (SBHCs) in partnership with the Medical University of South Carolina (MUSC). Convenient SBHCs affect both the health and education of students, by increasing time in class, reducing barriers to access, and eliminating parents’ missed time from work. 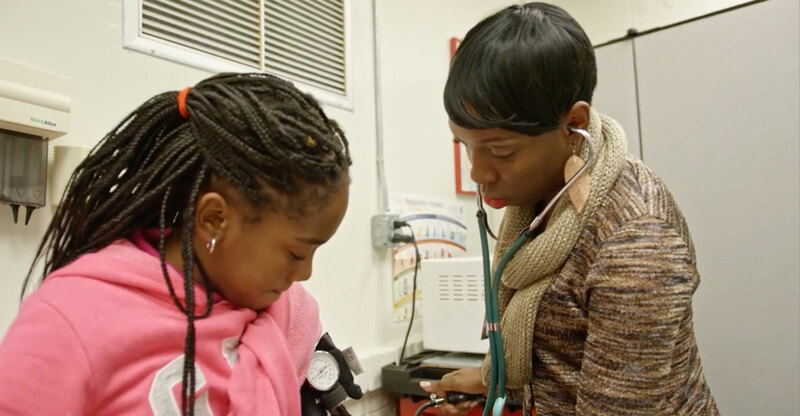 Research by the Robert Wood Johnson Foundation shows that students at schools with health clinics have more access to care. Numerous studies have linked improved student health to better academic outcomes. KidsWell SBHCs are located at five CCSD elementary schools including: Burns, Chicora, James Simons, Mary Ford, and Sanders-Clyde. If you are a parent with a child attending one of these schools, download and return the Enrollment Form Package to your school nurse. To make an appointment or for more information, call or text Nurse Stephanie Merrell at 843-754-7670.